The NetBSD Foundation Press Release: libcxxrt C++ Runtime Now Available Under BSD License. This is big news! The FreeBSD Foundation and the NetBSD Foundation announced that they have acquired a non-exclusive copyright license to the libcxxrt C++ runtime software from PathScale, a leader in high performance Fortran, C, and C++ compiler products for AMD64, Intel64, and MIPS. This software is an implementation of the C++ Application Binary Interface originally developed for Itanium and now used for the x86 family by BSD operating systems. Libcxxrt will be available under the 2-clause BSD license. Interesting that they chose the 2-clause BSD licence which FreeBSD uses, over the 3-clause BSD licence that NetBSD uses, or at least used last time I checked. But I digress. 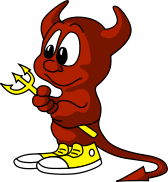 “This work complements other work done in the community and is a further step in letting us adopt alternative toolchains in FreeBSD,” said Robert Watson, a FreeBSD committer and Director at the FreeBSD Foundation. Alternative toolchains != GPL, which for the otherwise BSD licenced NetBSD and FreeBSD operating systems can only be a Good Thing™. There have been lots of interesting developments in this area recently. The GNU toolchain has served us well, but there are leaner, faster and more liberally licenced compilers, linkers, libraries and tools coming out now, and with Apple backing LLVM in a big way now (for example) this movement can only gain further momentum.